The massive snowfall that's buried parts of the Great Lakes region this week, seemingly out of nowhere, is more than just an inconvenience -- it's already proven deadly. 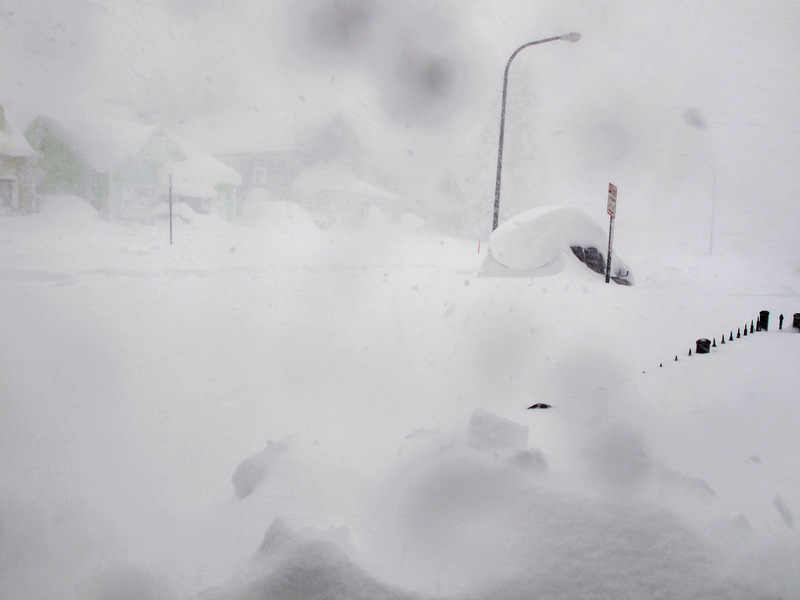 One of the fatalities was a man near Buffalo, New York, who was found dead inside his car after the area got hit with more than 4 feet of snow. Getting trapped in a blizzard is a potentially life-threatening nightmare for anyone who lives in a part of the country where a brutal winter is simply a fact of life. But if you do find yourself on the road, there are some ways to avoid becoming a statistic. Gas up. Always drive with a nearly full gas tank in case travel slows to a crawl or you get stranded. Charge your phone. Keep your cellphone charged in case you need it to call for help. Keep phone use to a minimum to conserve batteries. Be visible. If you're stuck in the snow, tie something brightly colored onto your antenna. This is a common way to signal that you need help. You can also blow that whistle from your emergency kit. Stay in the car. It may be cold and claustrophobic, but ultimately it's safer than being outside exposed to the elements in a winter storm. Check the tailpipe. This is a simple way avoid a deadly buildup of carbon monoxide in the car if you're sitting with the engine running. You should also crack open the back window slightly, which will keep fresh air circulating and prevent poisoning. Run the engine intermittently. Run your engine for 10 to 15 minutes every hour to keep the car sufficiently warm and also melt some of the ice and snow. Leave the dome light on. This will allow you to see inside the car, and also help people find you if search and rescue teams are out looking for folks who need help. Keep moving. It's important to avoid frostbite so try to keep up your circulation by moving your fingers and toes and changing your seated position frequently. Share body heat. If you're in the car with other passengers, huddle together to keep warm. Stay in your car until the snow stops and weather conditions improve. It may feel like an eternity, but if you plan ahead with emergency supplies and prepare for the worst, you'll have the best chance of getting through it.